I have installed new RemObjects Remoting SDK for Delphi 9.6.113.1419 in my BDS 2006. 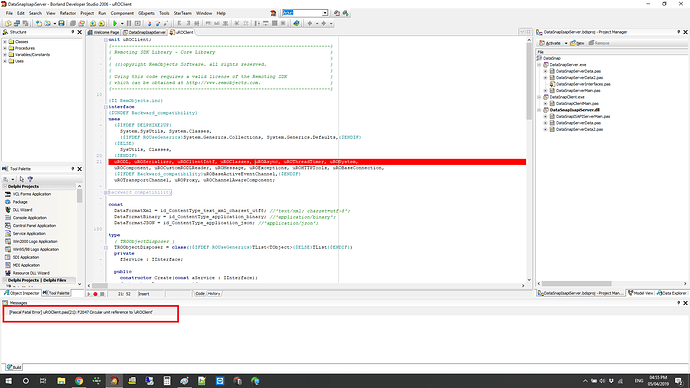 But unable to compile sample project Datasnap ,Getting below error. [Pascal Fatal Error] uROClient.pas(21): F2047 Circular unit reference to ‘uROClient’. But the same project working without issue in Delphi XE10.2 .3 Tokyo with same SDK. Adding the screenshot with this. 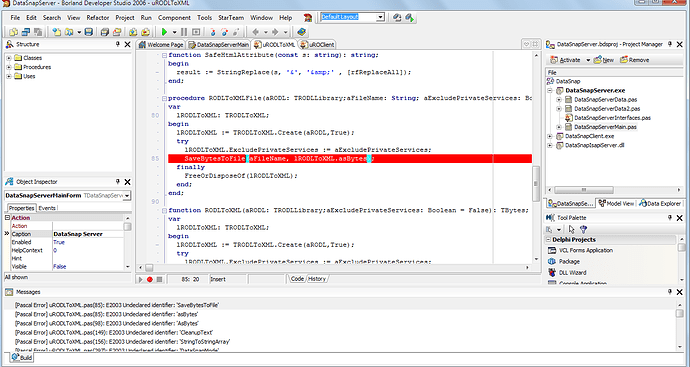 i was using RemObjects Data Abstract for Delphi - 5.0.33.723.exe before in the same system. when compile using dcc32 below error. Looks like you haven’t removed ROv5 completely and it was used instead of ROv9. 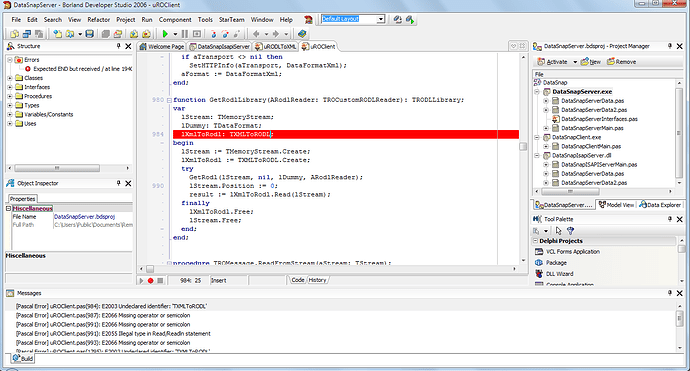 check your library paths in Delphi IDE and remove entries to old v5 sources. Looks like you have uROClient.pas in VirtualStore. check %appdata%\..\Local\VirtualStore folder and remove RemObjects Software folder from Program Files folder.